GAP SA, which is set to celebrate its 20th birthday this year, identified Ollie as a natural fit as its first official Ambassador, given his broad appeal, natural leadership and love of the breed. GAP SA Ambassador Ollie Wines with Greyhound Racing SA's CEO Matt Corby. Ollie said that he was excited to help increase awareness of the initiative as well as the placid nature of the greyhound breed. “Although they look incredibly athletic, retired greyhounds are affectionately known as ‘couch potatoes’. They love nothing more than human companionship and stretching out for a sleep,” said Ollie Wines. 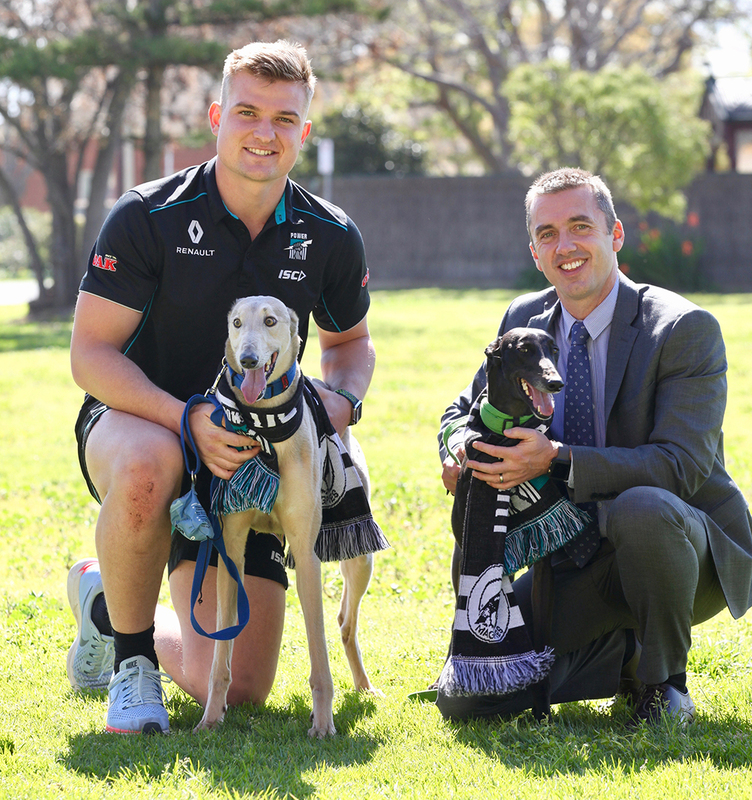 Matt Corby, CEO, Greyhound Racing SA (GRSA) said that Ollie Wines’ appointment was a great addition to an already successful GRSA initiative. “GAP SA is one of the most successful greyhound adoption programs in the country and we look forward to building on our success by partnering with Ollie. The awareness he will create for the program will no doubt help increase the popularity of our retired racers as pets, and increase foster care numbers. We are always looking for new people to temporarily foster a greyhound through the ‘You. Me. 6 Weeks’ initiative.” said Matt Corby.